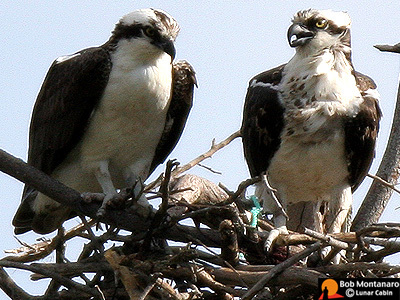 Introducing the Osprey couple. The male is at left and can be identified by his white breast. The female is at right and can be identified by the brown mottling on her breast. 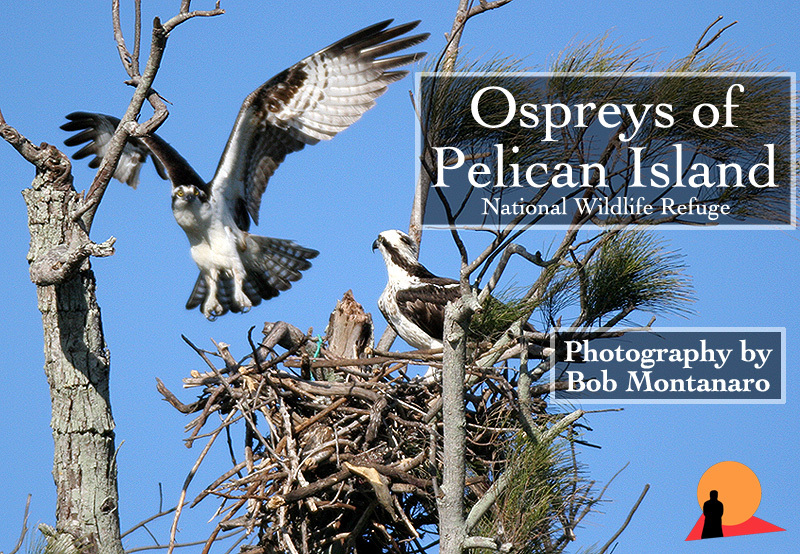 These are sub-tropical Ospreys, or "resident" birds, which generally live year round in Florida and nest in the winter and early spring unlike their northern migratory cousins which winter in South and Central America then return, like the fictional snowbird, to northern temperate climes to nest during the late spring and summer. Several days of observation following the discovery of the nest in the Refuge during the second week of February, 2006, has seen them mating several times interspersed with building up the nest with new material. So far it looks like they are right on schedule. Click on the link below for the observations and images listed by date.